The story of how Jessicurl came to be actually dates back to LONG before I ever made my first batch of Rockin’ Ringlets. Until the time I was 14 I had thick yet fairly straight hair. Somewhere around the time that puberty struck, my hair grew more and more coarse and eventually started to curl. I was mortified and at a total loss for how to deal with it. The only advice my straight haired mother could offer was “Go brush your hair!” As we all know, that’s the WORST thing to do to curly hair! My dad was more sympathetic, as he’s the one who gave me the curls, but his motto when it came to “our” hair was “bigger is better”. As a self-conscious 14 year old who didn’t want to stand out, that wasn’t very helpful either. As I grew up, my hatred of my hair didn't dissipate. Finally in 2002 I figured there had to be a better way, and typed "curly hair" into Google to see what the internet had to offer. The first thing that came up was naturallycurly.com. I was thrilled to find that there was an entire community of curly haired people who shared the same struggles as I did. Who knew? I immersed myself in their Curl Talk message board and quickly made many "cyber friends" with whom I traded hair tips and horror stories. Much of what they talked about, however, were products. I would go out and buy any product that someone raved about, most of which didn't do anything to make me like my hair better. Many of them actually made the condition of my hair worse, drying it out with alcohols and stripping the natural oils with harsh detergents. One day I came across a very basic recipe for a hair gel made out of flax seeds. I remember thinking, "Wow, how cool would it be if I could just make my OWN hair gel? I sure would save a lot of money!" I tried that very basic recipe, and the results were less than stellar. By this time I was inspired, however, so I tweaked the recipe, adding other natural ingredients that I had learned are good for curly hair. The results were nothing short of miraculous. I was shocked that FINALLY my hair looked like I wanted, and I had made the product on my stove!! With much exuberance, I went back to the NaturallyCurly.com message boards and excitedly shared the recipe with my newfound friends. (The thought of going into business hadn't crossed my mind.) After posting my recipe I was flooded with emails from curly headed members asking if they could just buy some of the magic potion from me, as they really didn't feel like making it. The rest, as they say, is history! Rockin' Ringlets Styling Potion was born. That was September of 2002. Since that time I’ve added three more styling products, three conditioners, 2 cleansers and 2 oils. The business has also since moved out of my home and into our current factory in Arcata, CA where I have a WONDERFUL staff. In 2006 I was invited to be a guest on the Rachel Ray show to give curly hair tips. That was a great experience and helped more curlies find out about Jessicurl. Through the years I’ve met thousands of curlies through the different events I attend and it’s always so inspiring to hear how similar our struggles are. The path to loving our curls is not easy, but many of us have made it and many are in the process. I’m honored to be a part of that journey. The future of Jessicurl is looking great. In September 2011, right after our 9th anniversary, we re-launched the look of the products and the website to better reflect the brand that Jessicurl has become. Strong. Powerful. Confident in our naturally curly state. 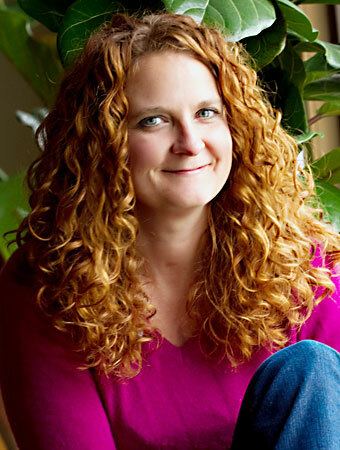 The best is yet to come for curls, and for Jessicurl, and I can’t wait to share it with you!